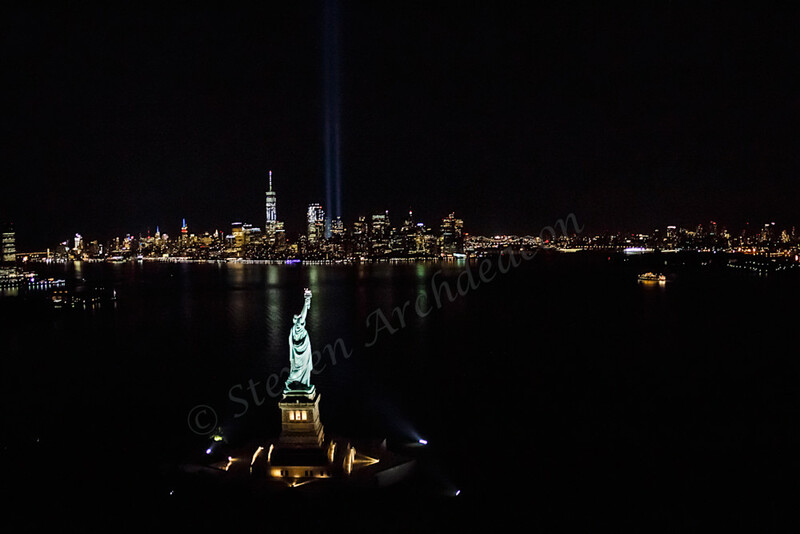 Statue of Liberty photograph from helicopter with World Trade Center & Tribute Lights by Steven Archdeacon. 9/11 Tribute Lights Aerial from a helicopter of the Statue of Liberty and World Trade Center. This picture was taken from a helicopter as I wanted to capture the Tribute Lights from a totally different angle than what is accustomed to.